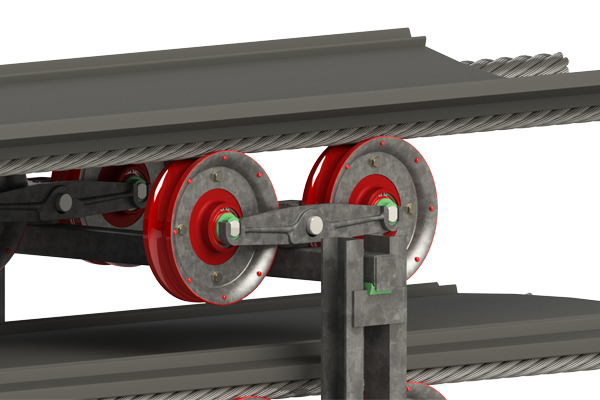 What is a Cable Belt Conveyor System? 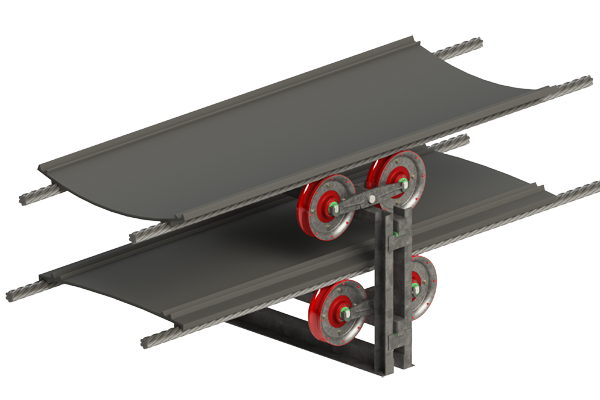 Most people are familiar with conventional conveyor systems where the belt moves along idler rollers. 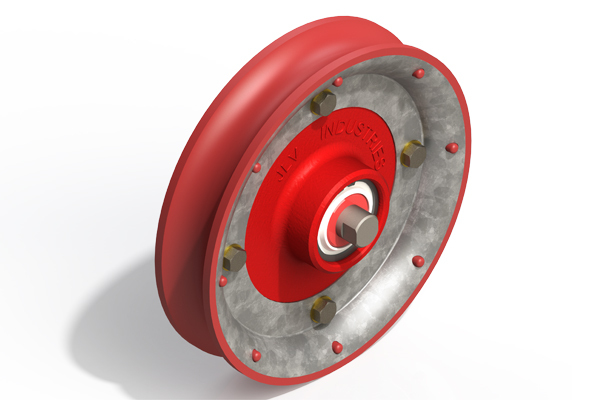 In this system the belt is the carrying medium and also has the driving force applied to it. 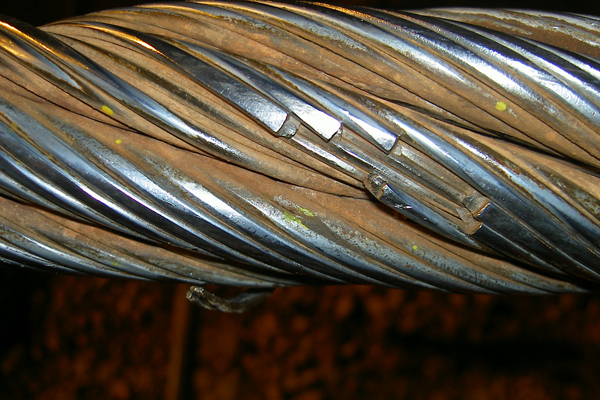 In a cable belt conveyor system the driving and carrying mechanisms are separated. 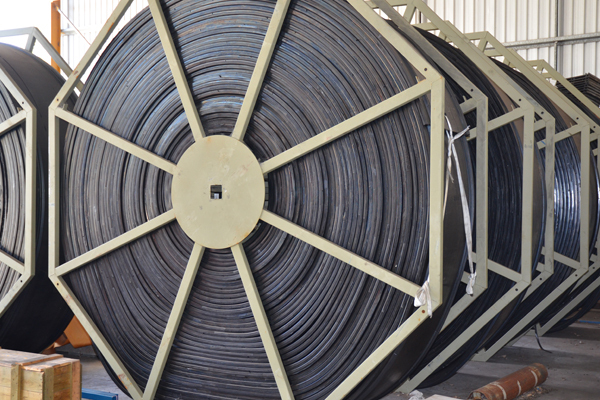 The driving forces are provided by two steel wire ropes (cables) and the material carrying medium is a rubber conveyor belt. These ropes are supported by grooved pulleys at regular intervals along each length. The belt rests on the ropes and is retained thereon by of two pairs of "shoeforms". Each shoeform has two triangular legs, which together form a vee shaped groove, this engages and grips the underlying rope. The belt has carry shoeforms moulded along the bottom cover and return shoeforms moulded along each edge of the top cover. 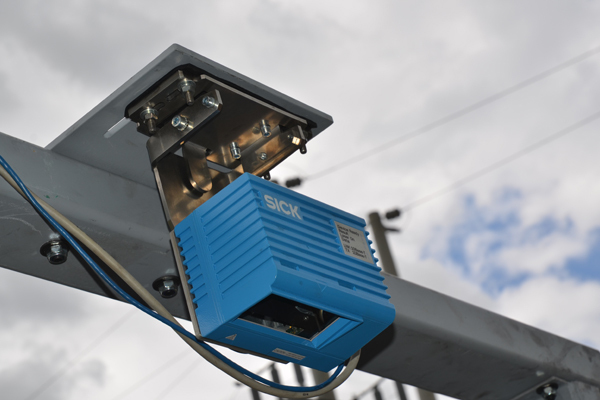 video: System Monitoring in QLD, Australia. 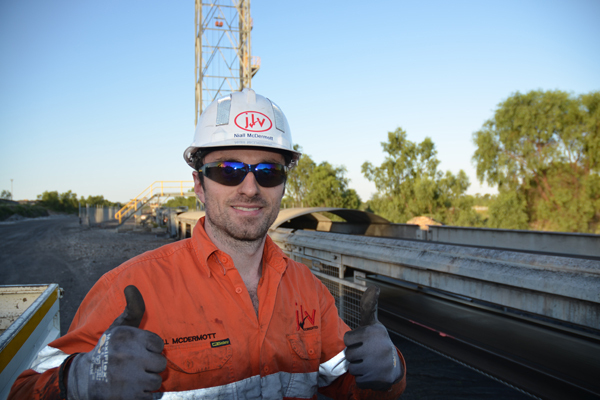 JLV Industries Pty Ltd is a privately owned Western Australian manufacturing company servicing the bulk materials handling industry.